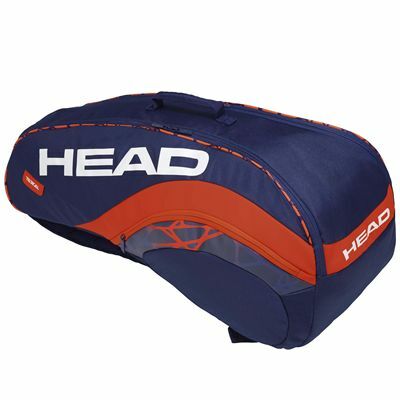 Head Radical Combi 6 racket bag is a comfortable and capacious choice for serious players seeking a way to commute on and off the court in a pleasurable and easy fashion. The bag offers a well-designed interior divided into two separate compartments one of which incorporates the CCT+ technology to ensure supreme protection from extreme temperatures. This great-looking racket bag can hold up to 6 frames and all on-court required essential equipment, and it’s exceptionally easy to carry around due to a comfortable backpack carry system and carry handle. To ensure proper space for accessories and small items, the bag includes two large outer pockets with zip closure. for submitting product information about Head Radical Combi 6 Racket Bag We aim to answer all questions within 2-3 days. for submitting product information about Head Radical Combi 6 Racket Bag. We aim to answer all questions within 2-3 days. If you provided your name and email address, we will email you as soon as the answer is published. for submitting product review about Head Radical Combi 6 Racket Bag.